This weekend we visited Gareth & Sarah's with Mark, Carol, Charlotte and Elliot. 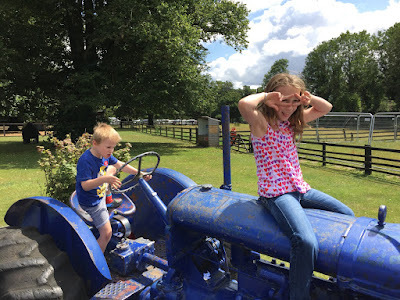 Lots of eating, film watching, rude card games and a visit to the Finkley Down Farm in Andover. After we got turfed out of our hotel, we decided to see the newly released Ant-Man! 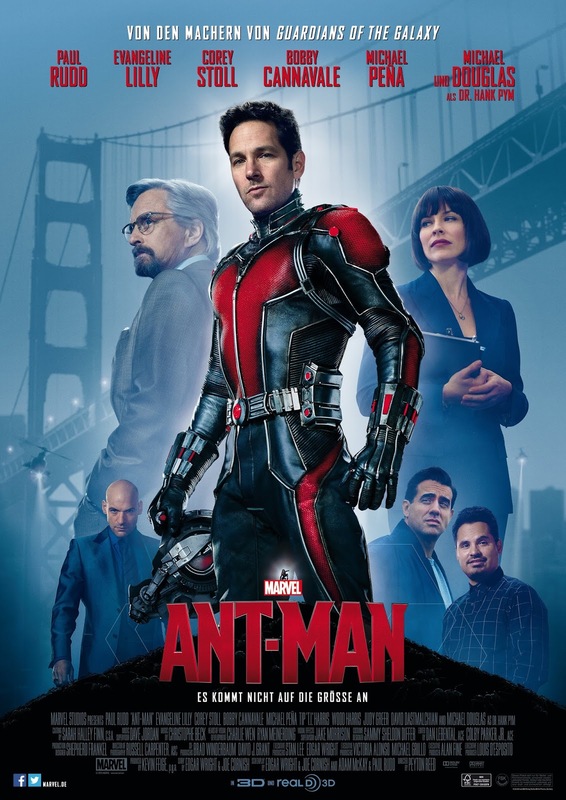 It also helped this had in seat alcohol service ;-) A weird and brave film for Marvel to release as their summer tent pole, as not a lot of people would have heard of Ant-Man, basically a guy in a suit who can shrink to the size of an ant, with super ant strength and communication skills. He's a thief broken out of prison who is then used to break into Hank Pym's company and steal similar secret technology, as the world is dreaming of armies of micro terrorists apparently. Except of course they don't get there in time to stop them finishing the rival suit and you have various micro-battles popping in and out of full size when strength or speed is needed. The shrinking/strength idea is used very effectively in this film and is a clever idea/effect done very well. I'm not sure the hero himself is quite a likeable as Guardians of the Galaxy or The Avengers though. It also spends a great deal of time setting up the back story, a little too long before it gets to the action. Still a great original super hero film though. Mr McFarlane you are now spreading yourself too thin. 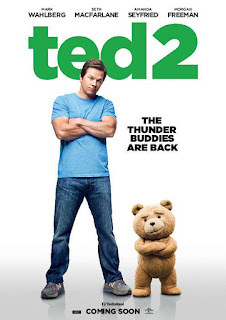 After last years poor "100 Ways to Die in the West", you get the follow up Ted 2, again writing, directing, producing and starring and unfortunately missing the originals funny high. Instead of a light hearted funny film, this one sees Ted trying to prove he's human in court and it does drag quite badly. Luckily it is rescued by a fairly funny sequence at Comic-con, which sees the likes of Michael Dorn, who used to play Worf in Star Trek, dressed up in a very bad Word cosplay costume and punching various show goers, among other things. Funny in parts, but not as good as the original, Seth you need to stick to comedy writing to get maximum laughs and let someone else lighten the load on directing duties. 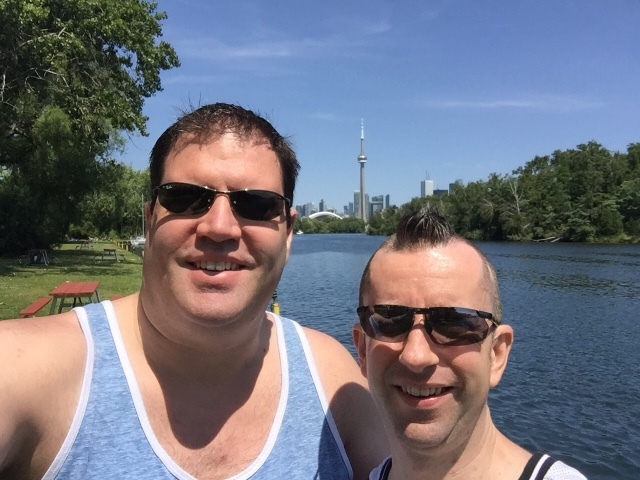 We've been having a lazy time on this holiday so far, but today decided to go over to Toronto Island for a cycle round and a spot of lunch. I'm not going to waste too many words on this movie, as it was a road trip movie about strippers on a way to a convention, with very little brotherly bonding and no real sense of feeling. Also the final stripping routines were incredibly cheesy and barley showed any flesh! As we were in Toronto, we had to see this is the brand new IMAX Laser theatre, this is IMAX's new projection technique and Toronto is one of two theatres in the world to have it, the other being the Chinese Theatre in Hollywood! While this film has been panned everywhere else, we actually really enjoyed it. 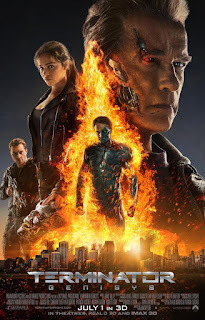 It starts right back at Terminator 1 and rewrites the rules. Arnie is present and his age explained quite well, and Clarke (Sarah) and Courtney (Kyle) also play their parts well. It just seems to start and ramp up the action right away, which is what you want, but then it gets slightly lost in the twist and time travel mumbo-jumbo. Its here that the movie was completely ruined by the trailer, which spoils the entire twist in the story, which we found quite unbelievable. It would be like telling you that (spoiler alert) Vader was Luke's father in the first five minutes of Star Wars! Ridiculous to ruin the movie in the a trailer! Anyway, we still managed to enjoy this movie and the IMAX projection was laser crisp and the sound blew you out of your seat! 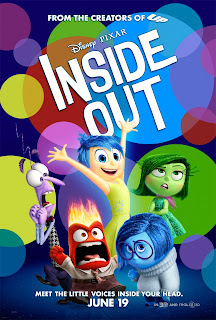 This movie is told from the perspective of a little girl, who is forced to move with her family from a perfect life in a big house, school and friends, to a small dank house in the city with no friends. Except its also told from inside her head, with her various emotions; Joy, Sadness, Disgust, Fear and Anger. In Joy's battle to keep the little girl happy, things start to change inside her mind and they get lost on a journey around her memories. There are some very clever ideas on show here, which is why Pixar will always trump Dreamworks, you have great animation, in jokes, but also a very original story. Some of the ideas might even be a bit too advanced for kids, but adults will get them along with the usual in-jokes. It does start dragging very slightly as they work through the zones of the brain, trying to catch the 'idea train' back to the core, but this is slightly rescued by Bing Bong, the talking elephant/cat thing! With slight trimming this could have been perfect, but its still the best animated film this year! All Toronto photos will be posted here, keep checking back for additions!